I was born in a small town east of Birmingham but from the age of five on mostly grew up in Chicago. Shy and introverted, I was quite comfortable with only a few friends. My early life showed no signs of literary talent; in fact, I paid a girl to write a required poem for me in high school. But as they say, circumstances change. I entered university at the end of 1967 and fell into a blossoming subculture that reshaped my reality, figuratively and perhaps a little too literally. My majors quickly became physiology and English literature so I could better understand people and maybe someday write about it. I began writing my own poetry and short subjects, but life happened soon after graduation. I placed all of aspirations on the side and jumped into the world head first. After retiring, I sat with friends on the porch of my country home. We spat tobacco juice into the yard and told old stories. Okay, it was the local pub and none of us dipped or smoked. Curiously though, the group was always interested in my stories. One encouraged me to write a book about a few of my early exploits. I thought, why not? The manuscript took a year to draft, rewrite, and professionally edit. Not knowing a thing about agents and publishing, I utilized the services of a company to peddle the novel to established agents. After six to eight months of polite but negative responses, I looked around for an alternative to traditional publishing. 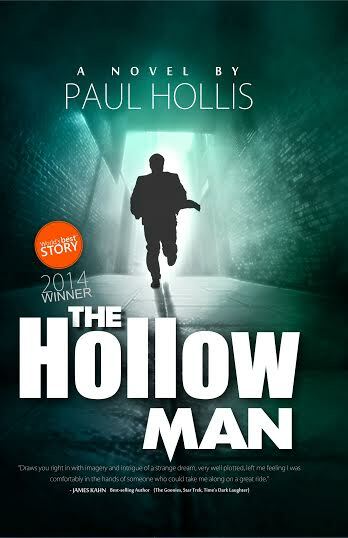 I had faith in The Hollow Man as a book people would want to read. I self-published on Amazon, listen to a few critiques from early reviewers, and republished a second version which filled in a few minor flaws that came to my attention. Soon after that I received my first award; The Awesome Indie’s Seal of Excellence. During last summer, I entered World’s Best Story contest and The Hollow Man was fortunate enough to be awarded second place out of thousands of entries. The inspiration for my story lines comes from a series of true incidents that occurred during the early 1970’s. The Hollow Man traces some of my lesser known experiences traveling in Europe as a young man. To make a long story short, I met a guy in early 1973 who thought I was wasting my time digging latrines in East Africa. He had a better offer for me. At the time, terrorism was on the rise and I was assigned to learn as much as I could about it. Most early acts of terror were specific, personal and damage was focused on a distinct, definable enemy. But terrorism was beginning to change its strategy to the familiar, senseless chaos we recognize today. The death of political figures no longer seemed to bother us as much as these new, random attacks against our children. Targets of innocence became preferable to these people because it was the kind of shock and hurt that hit closer to our hearts. The fear inside us grew larger with each incident. All of the characters in The Hollow Man are real or based on real people though most of the names were altered. I drew them as I remembered seeing them at the time. To create your own characters, simply watch people and interact with them. Pay attention to their actions, thoughts, and motives. Don’t worry if one person is not interesting, unique, strong or weak enough. Take pieces from these people to make the special character you need. I know you have traveled extensively "on somebody else's dime". What did you do that offered this opportunity? Where have you traveled and what has this allowed you to bring to your storylines? 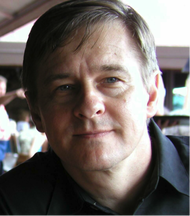 Before retiring, I worked for IBM and had worldwide responsibility for several emerging business opportunities for the company, one being intelligent video surveillance. After 9/11, as you can imagine, security and safety became of paramount important to corporations, police departments, governments, casinos, banks, retailers, and a host of others. As a result, I was almost constantly on my way to somewhere else. I’ve lived in some exotic places such as London, Brussels, Paris, Madrid, Rome, Tokyo, Hong Kong, Sao Paulo, Anchorage, and more. I’ve been fortunate enough to work in all fifty states and almost as many countries. If you’re thinking of your dream vacation spot right now, I have probably been there. These experiences allowed me to interact with people within their own cultures, experience their spiritual and political environments, and understand their hopes and dreams. Consumed with an overwhelming fascination to learn something from every person encountered along the journey, I was able to understand the world through their eyes; its animosities, ambitions, and motivations. As a result, The Hollow Man has a ring of realism that pulls the reader into the scene with the characters, whether it’s entering a dark alley in Madrid or sitting in a café on the Champs Elysees. You have a BA Psychology (and English Lit.). Did these studies help as you worked to build the sense of intrigue, suspense and danger found in your thriller? Not only in dealing with professionals during my career but as I began to create complex characters in my writing, the study of the mind, contrasting thought processes, and the cause and effect of actions has been priceless. My background in psychology has helped to understand how people think and the reasons we act. I’ve been able to translate the best and the worst people can do into the sense of intrigue, suspense and danger readers see in The Hollow Man. The study of classic literature and the art of the novel never hurt the writing process. I learned from the masters, paying close attention to their sentence structure, style, grammar, spelling, punctuation, voice, and so on. For me, I write short sentences within short paragraphs within short chapters to build suspense, while showing (not telling) puts my reader squarely in the excitement of the scene. We are so used to the level of technology and instant global access we have today. What was the biggest challenge in stepping back into a world without all the gadgets at our fingertips today? The biggest challenge was getting all of the details correct. I had to use some of today’s global access methods and technological gadgets to research what the world was like back in the 1970’s. I wanted to be as historically correct as possible so I explored everything from actions prior to documented events to reactions in the aftermath to local cuisine and currencies, and so on. I had to think ‘manual’ again. It was a world without pagers, cellular phones, GPS, and diet Coke. The Internet, personal computers, and megabyte memory were still years away. Gigabyte memory continued to be the stuff of science fiction, beyond the dreams of even Steve Jobs and Bill Gates. The main characters researched in libraries using card catalogs, miles of unclassified microfiche, and stacks of periodicals, magazines and local newspapers. They physically tracked criminals through line-of-sight surveillance, flashing passports at every border crossing, changing languages and currencies each time. If The Hollow Man is made into a movie, who would you like to play the role of the young field analyst? I’m really bad at this but I’ll give you my first thoughts. Finn Wittrock (there's an innocence about him but his eyes seem to tell a different story), Kellan Lutz (he has the looks of a street-wise kid who can take care of himself), and Max Thieriot (Max looks the closest to my concept of the main character). I’m not certain a big name star would translate well into the naive, anti-Bourne role of Doc so I’m thinking three lesser known actors. Call the suicide hotline at 1-800-don’t-doit now so the representatives can get to know you on a first name basis early in the process. Program the number into your speed dial. Though this will sometimes seem the best way out of your writing woes, here is more sensible advice. Read as much as you can in and around the genre. Get comfortable with what makes a story a mystery / thriller as opposed to something else. By the way, this doesn’t mean you can’t mix genres; it’s done all the time. Pay particular attention to character complexity (main characters should be complex and relatable) and pull your reader into each scene with the characters. I’m also a firm believer in showing, not telling. There’s a big difference in saying, “it was hardly raining” and “the falling mist collected on her face and shoulders, chilling her to the bone.” Make your reader feel what the character feels. Proof it, edit it, or stylize it until you’re satisfied with the result. Then hire a professional editor. An editor will raise your work to the next level. You will hate her, disagree with her, and argue with her but listen to your editor and make the suggested changes. In the end your book will be much better for it.